Daniel DesLauriers MIAEBP is a Licensed Thrive Program Consultant specializing in the treatment of but not limited to, anxiety, panic attacks, stress, fears, phobias, sexual problems, social anxiety, emetophobia (fear of being sick/vomit), depression, compulsions, obsessions, IBS, CFS/ME/PVFS and social anxiety. 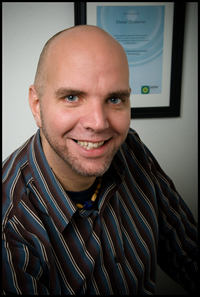 THRIVE was developed by leading psychotherapist Rob Kelly from the United Kingdom. 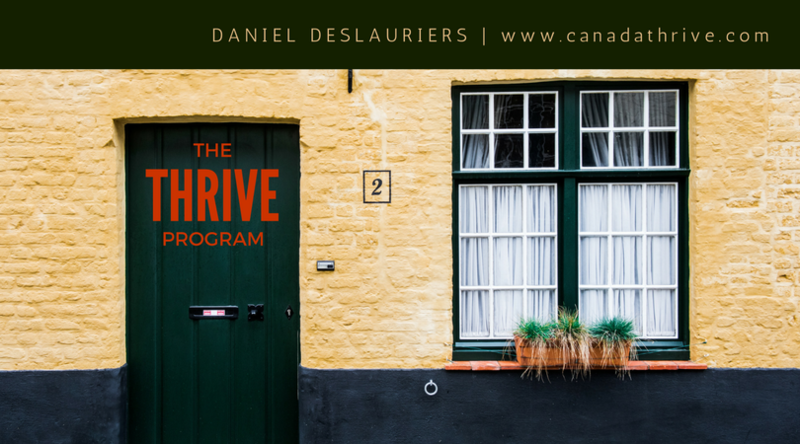 Thrive is a six to eight week training program that helps people build their psychological foundations and develop the skills and resources to be able to get over a wide variety of psychological symptoms. Thrive is a unique approach compared to conventional therapies in that it isn’t a therapy. Most people find Thrive after many unsuccessful attempts at conventional therapeutic approaches. It is difficult if not impossible to change a problem with the same mindset that created the problem in the first place. It sounds incredibly obvious, but until you have the insights into how your mind is working, how can you know what/how to change. Unfortunately when we are in a problem or symptom we generally have very little perspective on that problem or symptom. It’s like trying to solve a puzzle but you only see two pieces, whereas there are actually dozens of others that need to be in place for change to occur. I invite you to come in for a free no obligation consultation to see how you can change your life and begin to Thrive. If you have a symptom that is not listed on the site, please contact me, as those listed are not exhaustive to what I may be able to address. This programme is accessible to everyone in Canada via Skype. THRIVE™ and why is it more successful than other conventional therapies. THRIVE is a 6 week research and evidence based psychological training that takes you through the different areas of your make up, giving you insight into the mechanisms that caused the problem to form in the first place and the skills and resources to overcome it. Only once you understand how you got to be this way in the first place can you effectively get yourself out. There are multitudes of therapeutic avenues in the world today that only ever deal with the symptoms of the problem. THRIVE strays from the rest in the field by getting to the root of the problem and successfully liberating and empowering the people whom we help everyday. Prior to this I had been just started going to a counselor which lead me to discover that I had a “General Anxiety Disorder”, medical terminology aside, talking to someone helped me realize that I did in fact have some deep set issues that were effecting me on a daily basis. Not to the point where I wouldn’t leave the house, but just little thoughts constantly floating around my head revolving around worrying about pretty much everything. I was able to live with this, in fact I just thought that was how I was always going to be. The breaking point came when this anxiety and negative unhelpful thinking started effecting my performance in the bedroom. I hit rock bottom, my self esteem was the lowest it had ever been, my girlfriend was on the verge of breaking up with me, I felt completely helpless and terrified. Through the exercises in the book I discovered that I actually didn’t love myself and part of my belief system was that I wasn’t a good lover and didn’t deserve to be happy or have a girlfriend. So I was basically subconsciously sabotaging my own life. Those little negative thoughts that floated around my head were leading me down a path where I would be alone and miserable.I felt completely helpless until reading this book and meeting with Daniel every week. It really did change my life. I learned that I had control of my thoughts and that I could change the way I thought and felt about myself and the world around me. Over the 6 weeks I worked through this book my mood, self esteem improved and my anxiety lessened more an more. It took a lot of work and self analysis. It’s not really hard work, but I feel like you have to want to do it for it to work. And I did want to do the work. I worked even harder, once I realized that the work I put into it was having a direct and positive effect on me. You will learn that it takes persistent daily effort to overcome your unhelpful thinking habits, but the more you do it the easier it becomes until it is just second nature.